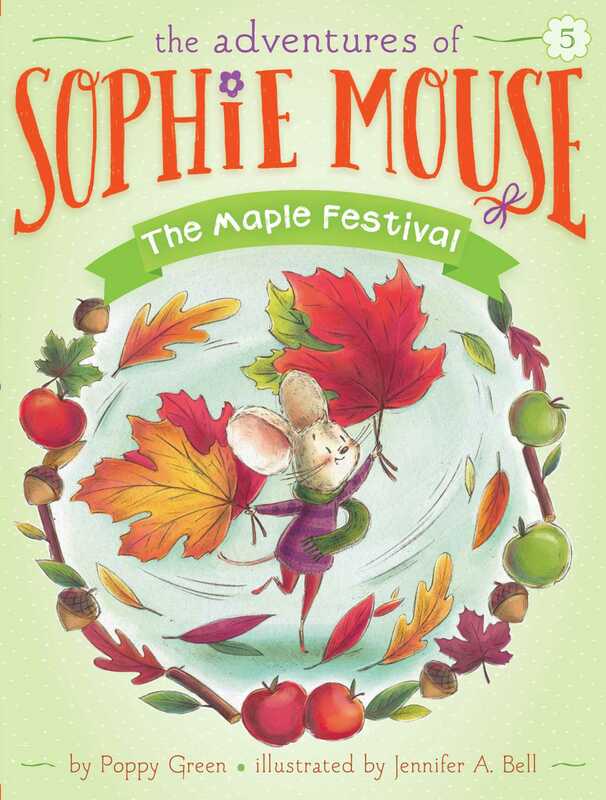 Sophie Mouse is so excited to help her mother bake treats for Silverlake Forest’s big Maple Festival in the fifth book of The Adventures of Sophie Mouse. It’s finally fall in Silverlake Forest, and that means it’s time for the annual Maple Festival! The animals have heard it is going to be the biggest one yet with games, rides and, of course, Lily Mouse’s famous maple-filled bake-stand. Sophie is delighted when her mother asks for her help baking the goodies for the festival. When they get there, Sophie runs off to play with her friends…until she notices that no one has come to her mother’s stand! Can she use some quick thinking and her artistic skills to draw customers in?